Beauty and substance in a low-profile, high-performance solar roof system. 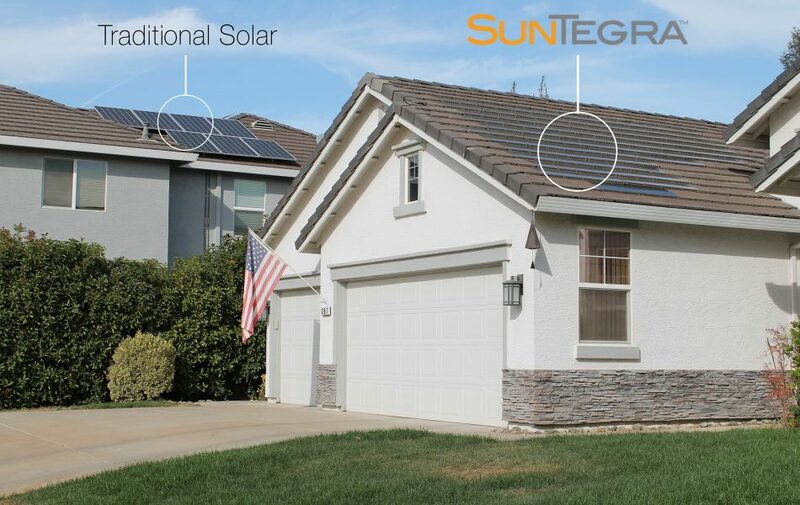 Innovative, industry proven and attractive, SunTegra offers homeowners the traditional benefits of solar without the traditional “look” of solar. Whether you are a homebuilder or are planning a new construction project, SunTegra offers a solar solution that will integrate with your project’s design and provide construction cost savings. SunTegra® Solar Roof Systems are innovative building integrated solar solutions that provide customers an attractive alternative to standard solar. SunTegra Solar Roof Systems integrate directly into the roof instead of being mounted on a bulky rack system over the roof, providing customers a durable roof and a sleek, low-profile solar system in one! Do you like the look of SunTegra? If so, you are not alone – surveys show that 3 out of 4 homeowners would prefer an integrated solar option. With SunTegra, now you have a choice! Solar that Integrates with your Business. SunTegra Solar Roof Systems enable solar to become an integral part of your building, providing construction cost and energy bill savings, a streamlined installation process, and a differentiated, low-profile appearance preferred by customers. SunTegra is a valuable addition for new home construction, commercial properties, and government and civic institutions. SunTegra Solar Roof Systems are an innovative, new way to go solar, which provide an attractive alternative to standard rack-mounted solar. 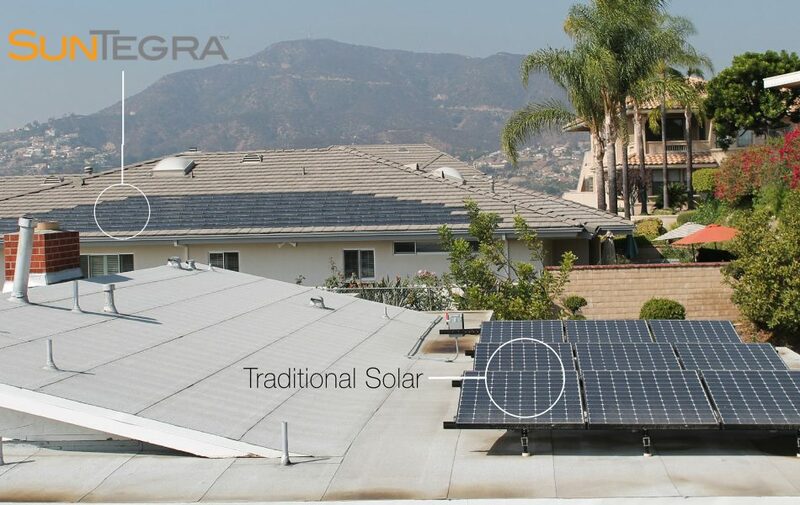 Becoming a SunTegra Partner offers solar dealers, roofers, contractors, and other trades the ability to offer a unique product, which will set them apart from conventional competitors, expand their available market, and allow them to become a player in a new and growing part of the solar market.